minya konka, originally uploaded by mutikonka1. In the next week or so I will post some accounts of Joseph Rock's trip to Minya Konka - Gongga Shan - and his epic trip through the Yalong gorge to get there. It's a great story - about how he mistakenly believed it to be higher than Mt Everest. 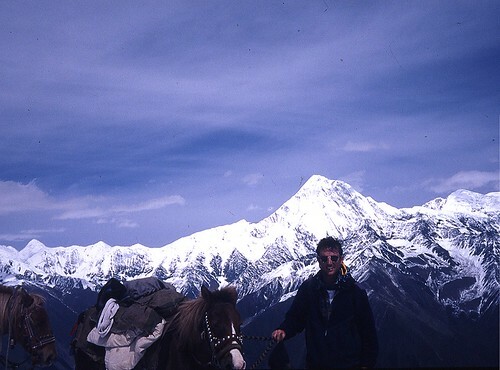 Here's me on the Tsemi Pass, with Minya Konka in the background in 1996.